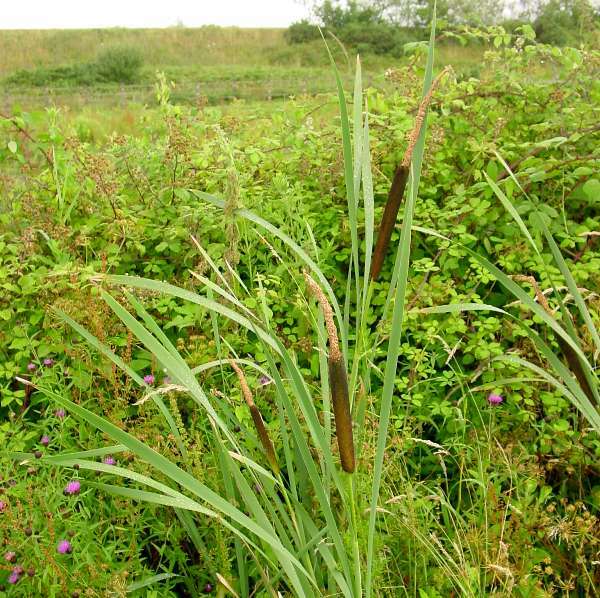 Bulrush (also spelt Bullrush) is widespread throughout the UK and Ireland except for the far north. 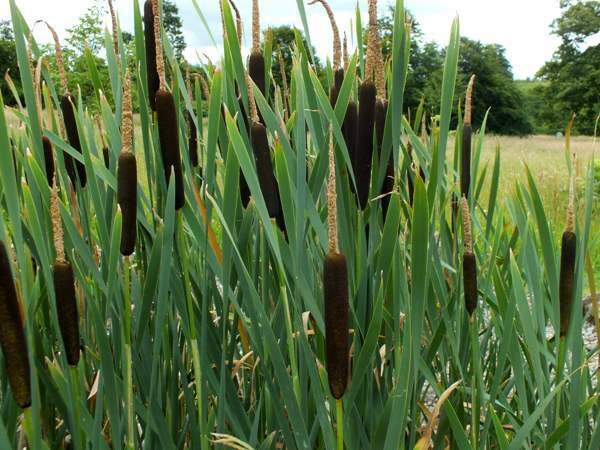 It has also been given the name Great Reedmace, but this did not catch on, and botanists have eventually, if reluctantly, accepted the popular name Bulrush. 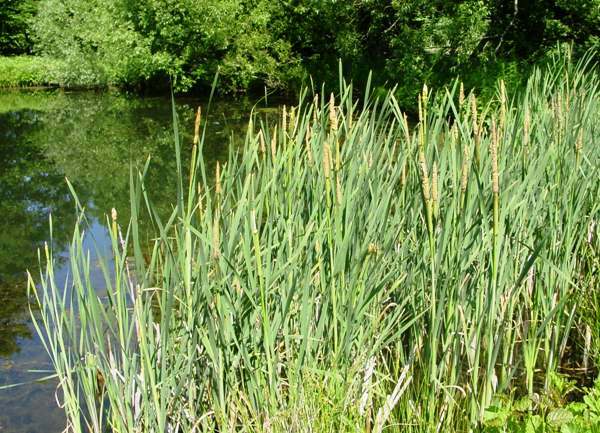 Found growing in the water at the edges of lakes and slow-flowing rivers, Bulrush, is in fact not a member of the 'rush' family; it is a kind of grass. Plants can grow to two metres tall. The strange spiked flowers appear from June to August. The straw-coloured male flower is directly above the darker, cylindrical female flower. Also quite common is the Lesser Bulrush (or Lesser Bullrush) Typha angustifolia, a slimmer but otherwise very similar plant.